With its uninterrupted views of the sky, the waterfront turned out to be a great place to see Monday's rare solar eclipse. The Bay's state parks produced some stunning views of the partially-blotted sun. 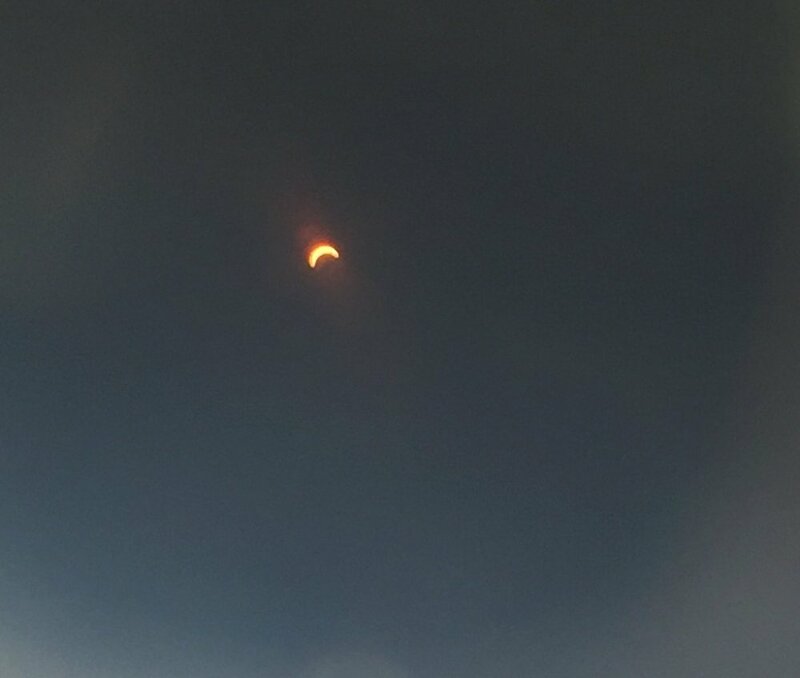 The region was not on the "path of totality," where people could see the sun entirely covered, but it was blocked 80 percent or more in most of the Chesapeake Bay region. Point Lookout State Park shared this view of the sliver of sun that was visible from the southernmost tip of Maryland's Western Shore. 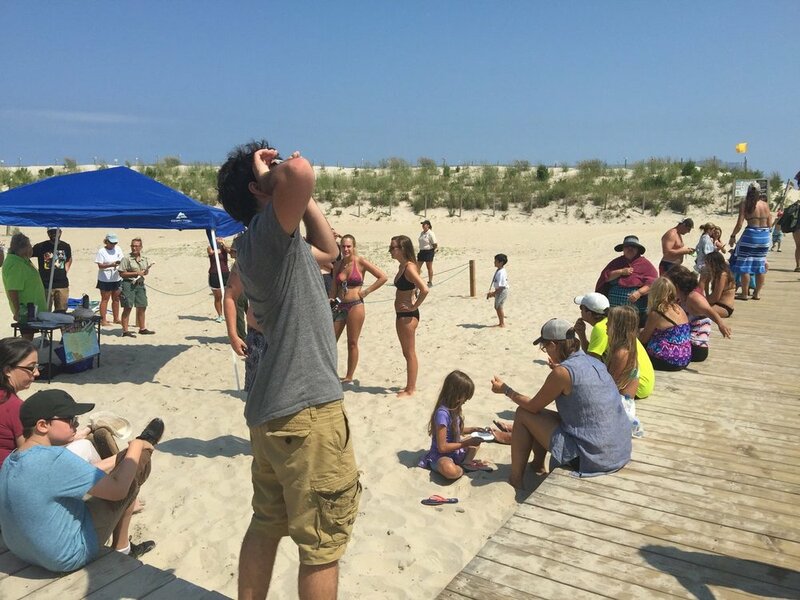 At Sandy Point State Park, visitors had to wait for just the right gap between the clouds to spot the eclipse. 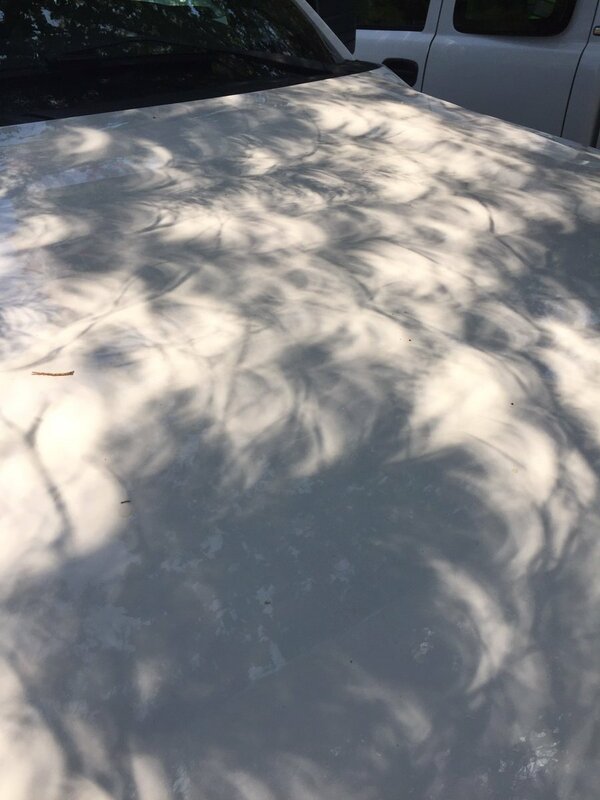 People who didn't plan ahead enough to have protective glasses at the ready still got a treat, if they looked down, instead of up.Here's an example of the mini-eclipse shadows cast on the ground at Point Lookout. On Assateague Island, visitors took the opportunity to make a beach day out of the viewing party. The park handed out a limited number of pairs of eclipse glasses for people to share. If you missed the eclipse this time around, the next total solar eclipse in North America falls on April 18, 2024, but will take a different path, when it will pass west and then north of the Chesapeake Bay.